Rev. Keith Daniel “Danny” Benfield, 67, of Raleigh, passed away Wednesday October 24, 2018. He was born in Cleveland County on November 27, 1951 a son of the late Dwight and Helen (Grayson) Benfield. A memorial service will be held Monday, October 29, 2018 at 2:30 pm at Bay Leaf Baptist Church 12200 Bayleaf Church Rd, Raleigh, NC 27614. Inurnment will follow in the church columbarium. 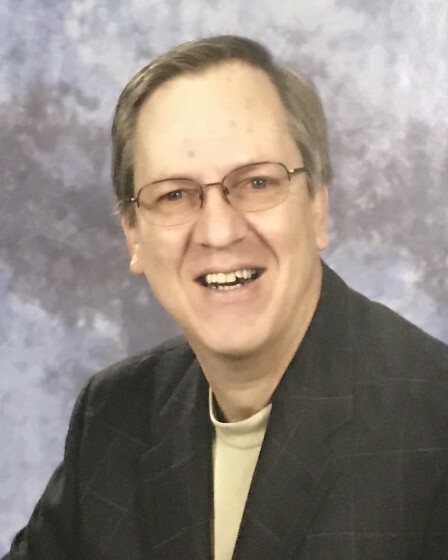 Danny earned his bachelor’s degree from Gardner Webb University in Boiling Springs, North Carolina and his master of divinity degree from Southeastern Baptist Theological Seminary in Wake Forest, North Carolina. He was a pastor in North Carolina for 20 years before Parkinson’s disease forced him to retire. Danny loved preaching and singing in the choir. In 2012 he published Start the Day Words of Hope and Inspiration, a collection of daily devotions. Danny is survived by his wife Ellen, three children: Peyton B Cline and husband Chris, Michael Benfield and wife Jacqueline and Mark Benfield and wife Elizabeth; four grandchildren: Grace Cline, Olivia Cline, Henry Benfield and Imogene Benfield; sisters: Linda Lemasters and Elaine Davis; and also his nieces and nephews. Friends may visit with family following the service at the church.